Children and teenagers regularly fight and scheme, sometimes hiding their identities to do so, sometimes competing against forces much larger than themselves, and usually proving that they are stronger than anyone gives them credit for. It’s common knowledge that these machinations tend to play out similarly, albeit more opaquely, in adulthood. Writers have long picked up on this sensibility, and there’s a whole backlog of writers selling teen violence: Lord of The Flies, Battle Royale, Never Let Me Go. 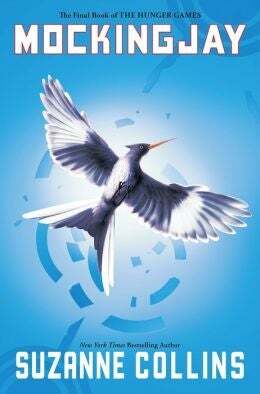 The Hunger Games series fits into this tradition: Suzanne Collins pits children against each other in the games themselves, then against an entire corrupt government. The first two rocketed to popularity, selling a combined thirty-seven million copies, but many thought the final book, Mockingjay, “kinda sucked,” assuming Collins “ran out of ideas” or just cruelly refused to give anyone a satisfying ending. Fans responded to the poorly received conclusion by making it the lowest selling volume of the trilogy, moving ‘only’ thirteen million copies. But I don’t think Collins had closure on her mind. Henri wraps up his Mockingjay analysis with a heavy serving of disappointment and a dash of snark. What would happen to you if you were in the Hunger Games? I mean, you’d probably die. I definitely would, not in an interesting way, but more likely freezing to death or dying of thirst after hiding the whole time. You’d be one of the first three gone, a shame to your district and without a single tribute of super-medicine or weapons flown in. But if you were Katniss or Peeta or Haymitch and you survived, what would happen to your brain? It’s true Collins rushes through a lot of “action” in Mockingjay, throwing Katniss into the occasional battle but keeping her mainly underground in District 13, having to hear of the rebellion from third parties. Without the distractions of fighting and survival, Katniss lives in her head, and we live there with her. Katniss has been classified as “mentally disoriented,” and exhibits numerous signs of PTSD. Nightmares, insomnia, flashbacks that cause her to vomit, cry, curl up and scream on the floor, borrowing Finnick’s rope and tying knots until her skin bleeds. She ignores her schedule and wanders District 13, fully aware of everything that’s happening to her but unable to stop it at the same time. We often find her hiding, reciting a mantra her doctors have suggested, reminding herself of her name, her age, her home, and what she’s done. She has no one left to fight, which is disorienting for someone who has spent her whole life fighting, and with nothing left to want she sits in her kitchen. “I’m in the same clothes I left the Capitol in,” she says. “What I do is sit by the fire. Stare at the unopened letters piling up on the mantel.” The town cook Greasy Sae comes to her house and forces her to eat twice a day, but she appears to stay in the kitchen in these same clothes for months, or at least long enough for her to recognize how matted her hair is when she finds Peeta planting bushes outside, and “flakes of skin the size of playing cards” to peel off her when she finally decides to shower. The idea of violence as traumatizing, as a force strong enough to permanently damage your psyche, has been around since before we had the words for it. People were confused or haunted or abnormal, they had Shell Shock before they had PTSD. The words came late because, I believe, they are almost unnecessary. You don’t need a diagnosis to tell you that, after being thrown into an arena to kill fellow teenagers, you’ll be different. You might be the one suffering from nightmares and panic attacks, or the one who hardens themselves, or the one who numbs the pain with alcohol or opiates. But the assumption that something will happen is intrinsic. It’s natural. Katniss comes to the same realization as Miri. She knows things will not be the same, and though inn a lot of ways they’re better—they won, after all—Collins delves into just how much that winning can cost. Peeta forever questions certain memories, unsure if they were planted there by the Capitol. He and Katniss calm each others nightmares, and never quite mourn enough for those they’ve lost, even as they have children and move on with their lives. “Collective thinking is usually short-lived,” reminds Plutarch. “We’re fickle, stupid beings with poor memories and a great gift for self-destruction.” A short memory is what we aspire to; it lets us paint over the stains of the past instead of living with the damage. Disorder is what we call it when our memories are too long, when we live with just how real our scars are. But I’d hardly call it abnormal.